The Crater HS Hooded Jacket is a 3-layer jacket with a completely waterproof Gore-Tex® membrane. 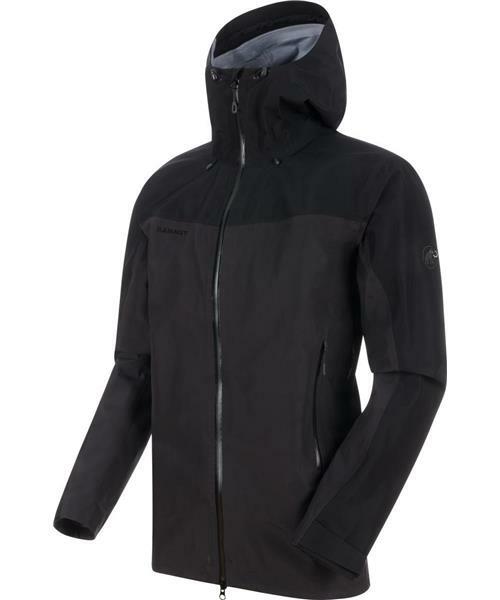 The result is a robust jacket capable of withstanding all kinds of mountain weather: gusts, rain and snow. Sophisticated details such as the helmet-compatible hood, underarm zippers for optimum ventilation during strenuous ascents, and the climbing harness-compatible side pockets provide the perfect basis for high alpine adventures.